The WBT Mini is a compact version of the highly efficient Wide Band Transceiver (WBT) used by marine research vessels all around the world. The compact size and energy efficient design of the WBT Mini makes it perfect as a portable echo sounder or for installation on a wide range of platforms. The WBT Mini supports chirp (FM) and continuous wave (CW) pulse forms. It contains four individual transceiver channels with multiplexing functionality. You can set it up for flexible split- or single beam transducer configurations. The WBT Mini is contained in a splash proof cabinet and the robust design allows long-term deployment in challenging environments. 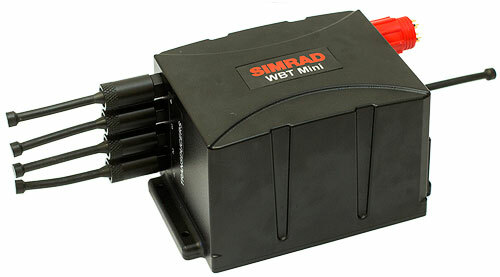 The WBT Mini can be operated in two different modes: EK80 mode or Autonomous mode. In the EK80 mode, the WBT Mini is used with a computer running the EK80 echo sounder software. The EK80 software provides full control of the WBT mini via Ethernet in real time. When used in EK80 mode .RAW echosounder data will be recorded to the computer disk(s). This mode requires one or more EK80 software licenses. In Autonomous mode, the WBT Mini is programmed to perform a predefined mission. A mission will normally record data in intervals over a period of time using specific acoustic settings. The mission plan is designed using the EK Mission Planner software and downloaded to the WBT Mini before mission start. When used in Autonomous mode the high resolution .RAW data are stored internally and retrieved after mission completion. During a mission the WBT Mini can be remotely controlled and monitored by sending operational commands and reciving downsampled data using the serial line interface. The Autonomous mode is an option that can be purchased separately.